24A RGB LED controller PC-800 is a high-end touch controller which adopts latest capacitive trigger and wireless technology. 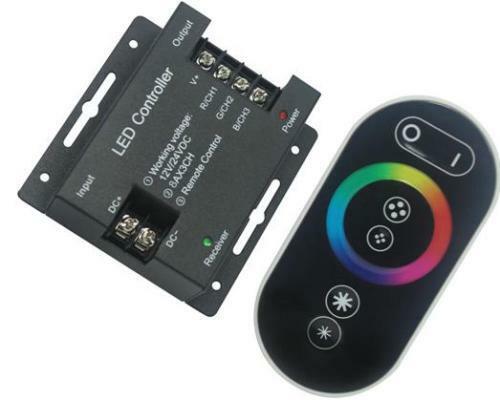 You can use remote control to switch the modes of RGB lights, and also can change the brightness and speed, for a variety of RGB lights, like point source of light, flexible light strip, panel light etc. 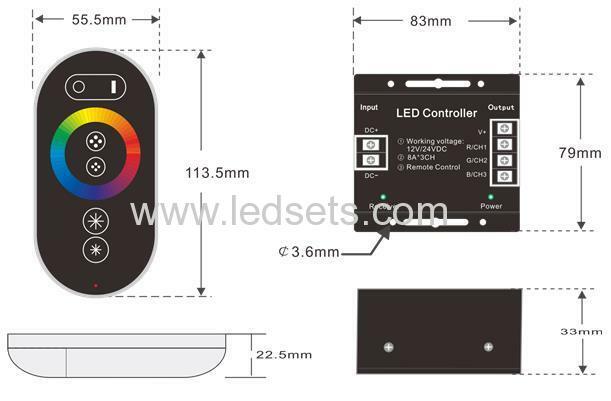 Specification for matching code of wireless remote control and controller: When power on, close to the controller, at the same time press the ON/OFF key of remote control, long press this key in 3s to match code. The load light will flicker after matching code success.